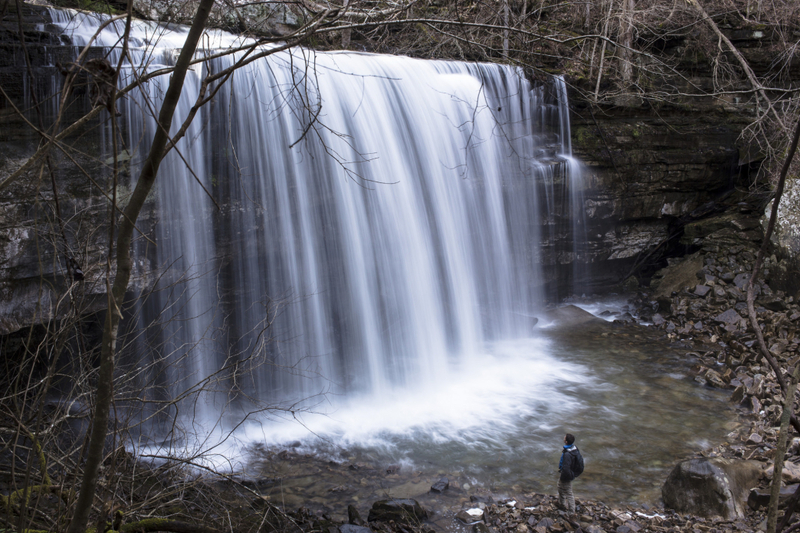 A short spur trail leads to Ranger Falls, deep in Big Creek Gulf. The Great Stone Door allows passage through this tall bluff without using ropes. Atop the Stone Door, this overlook offer expansive views of Big Creek Gulf. The water from Ranger Falls disappears underground, leaving a dry creekbed beyond. A spur trail reaches the base of Boardtree Falls, and a swinging bridge crosses the creek above. 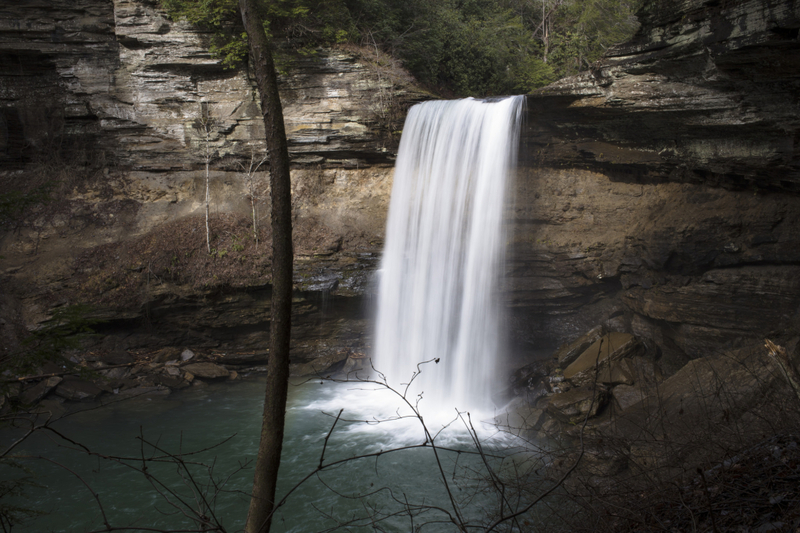 View from the base of Greeter Falls, perhaps the most-visited waterfall in Savage Gulf. At the bottom of a metal spiral staircase, the massive Greeter Falls is immediately visible. 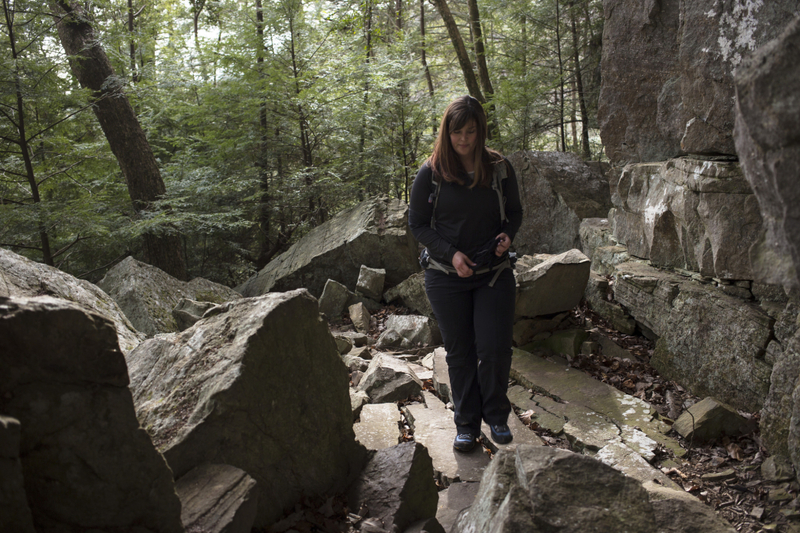 Sections of the hike to Boardtree Falls are very rocky and deeply shaded all year. 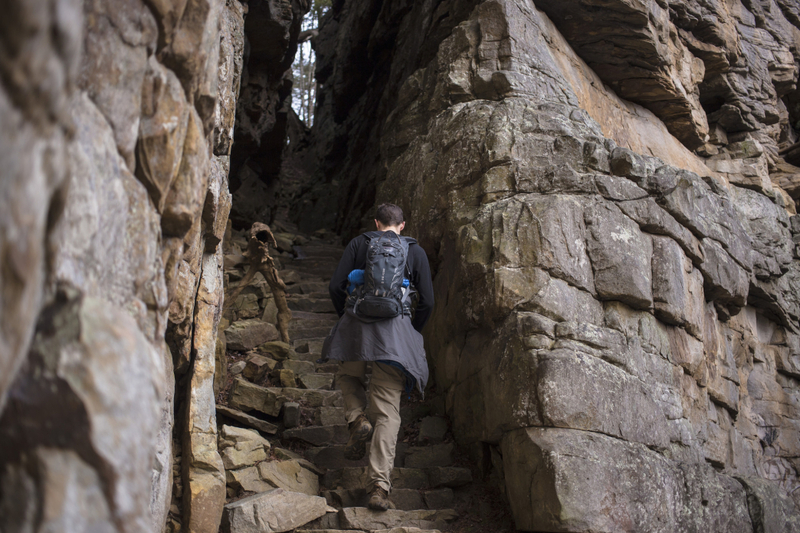 A long, rock staircase leads through a giant crack in the cliff face -- the Stone Door. 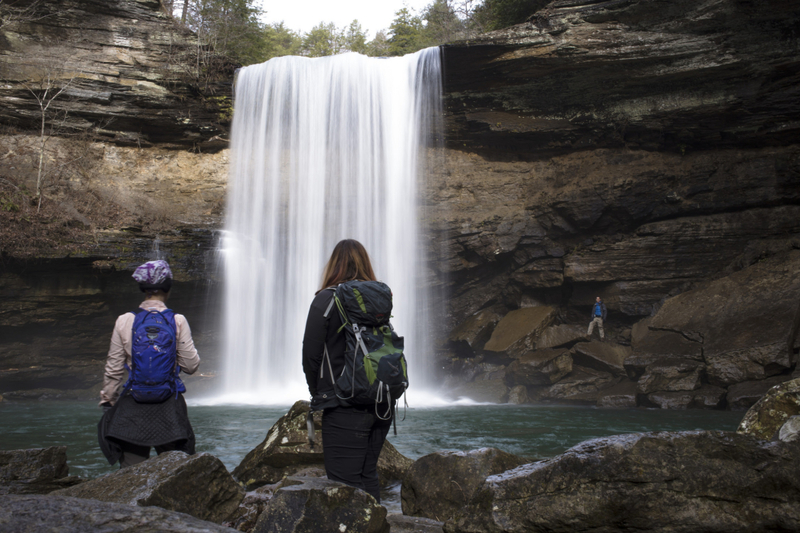 Savage Gulf is one of Tennessee's most beautiful wilderness areas, offering over 50 miles of trails and views of some of the area's most pristine waterfalls. Varies; there are over 50 miles of trails in this area. You will need a (free) camping permit if you are staying overnight. 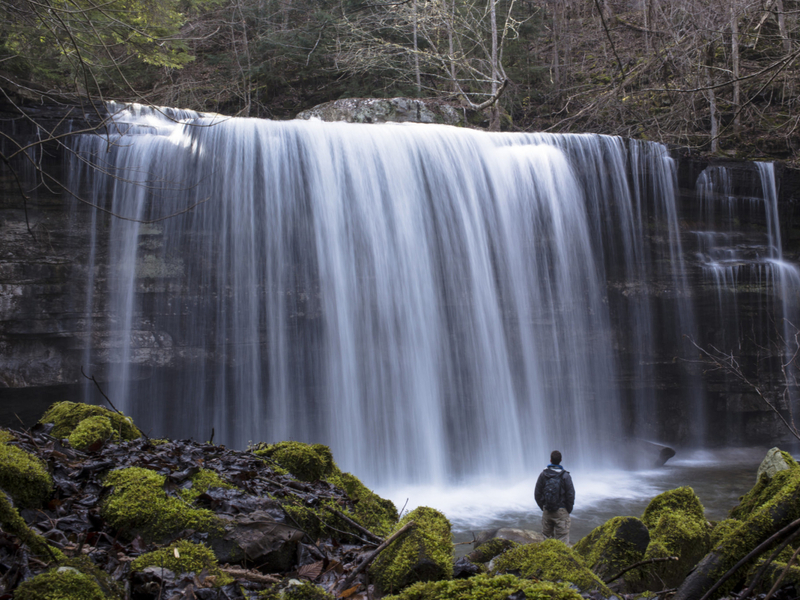 With over 50 miles of trails stretched out over 15,590 acres of pristine Cumberland Plateau wilderness, Savage Gulf is one of Tennessee's most rugged and beautiful wilderness areas. 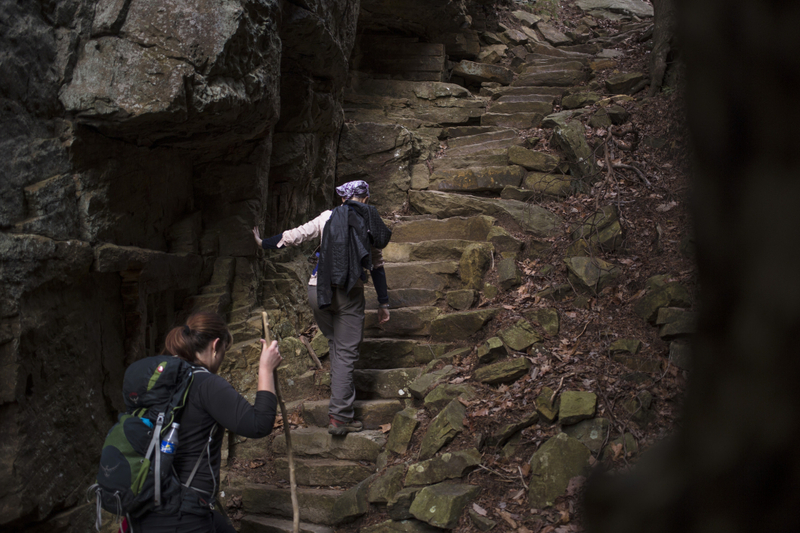 Backpackers will enjoy backcountry sites surrounded by hardwood forests, towering cliff bands, unique rock formations, and some of the best hiking in the southeast. 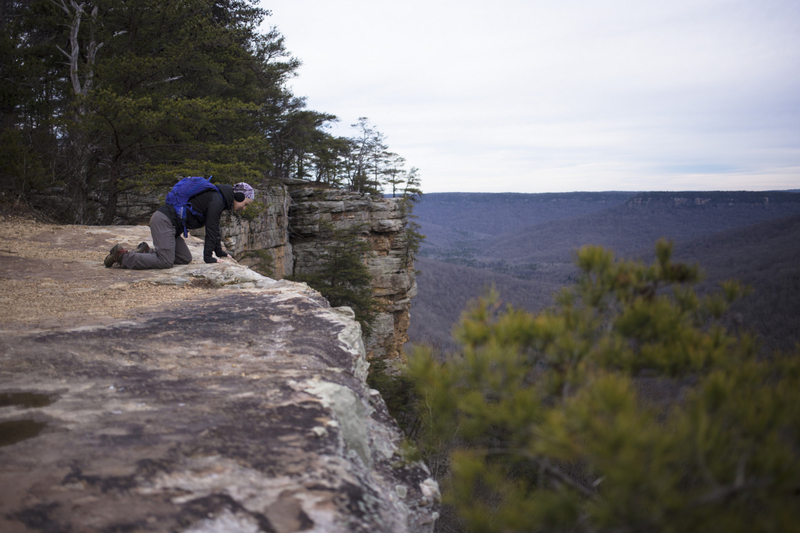 One of the most expansive views is at the 150 foot bluffs near Stone Door, a deep crack which provides a natural staircase into the gorge below. 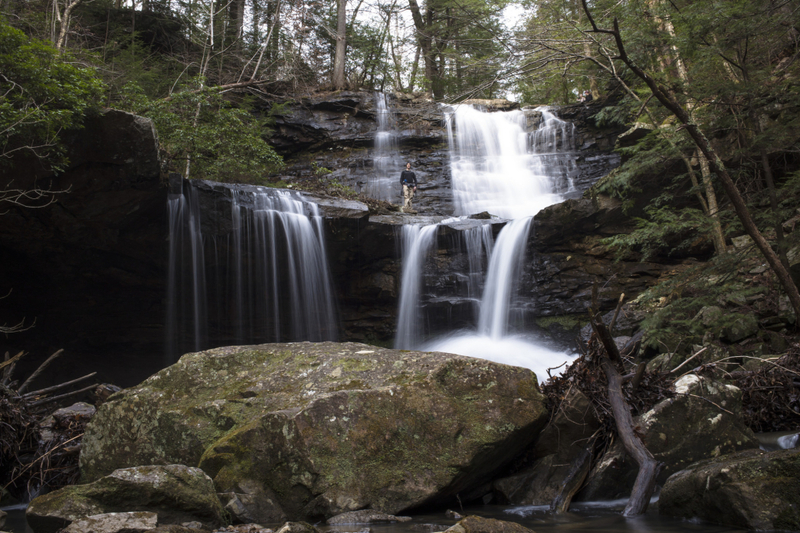 Four miles by trail to the west, Greeter Falls drops over a 15-foot upper ledge and then falls 50 feet into a large basin. A unique spiral staircase--this one man-made--provides access to the lower falls. 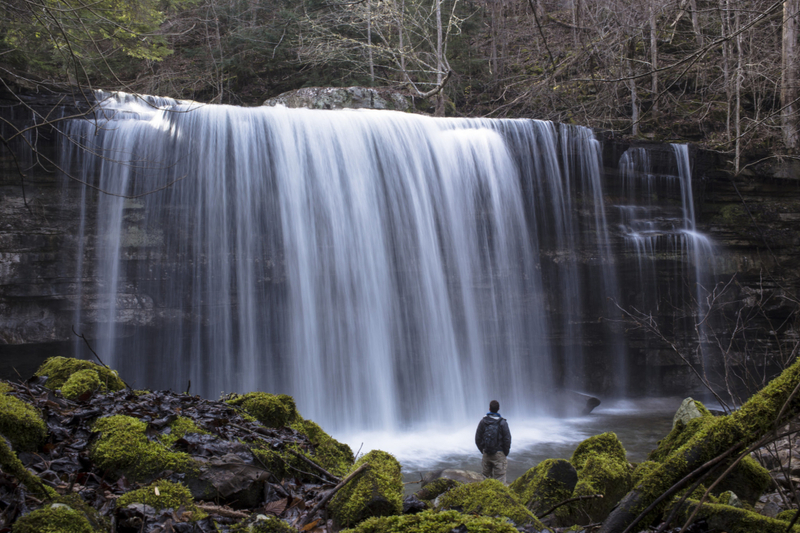 At the other end of the Gulf, Savage Creek cascades down from the rim to drop 30 feet at Savage Falls Between the two are almost too many waterfalls, cascades, and mysterious, sinking streams to count. This is truly an outdoor mecca that will take several visits to experience properly. For a more in-depth read about this wilderness, see this article from RootsRated editor, Kris Whorton. The terrain ranges from the paved trail out to Stone Door to strenuous, rock-hopping trails down in the Gulfs. While there are no roadside overlooks--be prepared to walk at least a half mile for the big views--there is something for almost every ability, from novice to backcountry expert. There are two Ranger Stations, one at Savage Gulf and the other at the opposite end, Stone Door. You'll need a free permit to overnight. To get there, the best approach may be I-24 West up Monteagle Mountain, then hopping on US 41 towards Tracy City, so you can stop at the South Cumberland Visitors Center and pick up maps and current information. A copy of the trail map can be viewed courtesy of Friends of South Cumberland.